For alternative proteins to make a significant impact they need to get mainstream exposure and sales. Carl’s Jr are a major meat-centric hamburger chain and are using the plant based Beyond Meat Burger as the basis for a major promo product. With over 1,000 restaurants selling the product this is another major move into mainstream exposure and acceptability for alternative proteins. Some one third of consumers “identify as flexitarians”, who happily eat both plant based and animal based products. With this in mind even the most meat-centric QSRs, hamburger chains, are joining the plant based party! 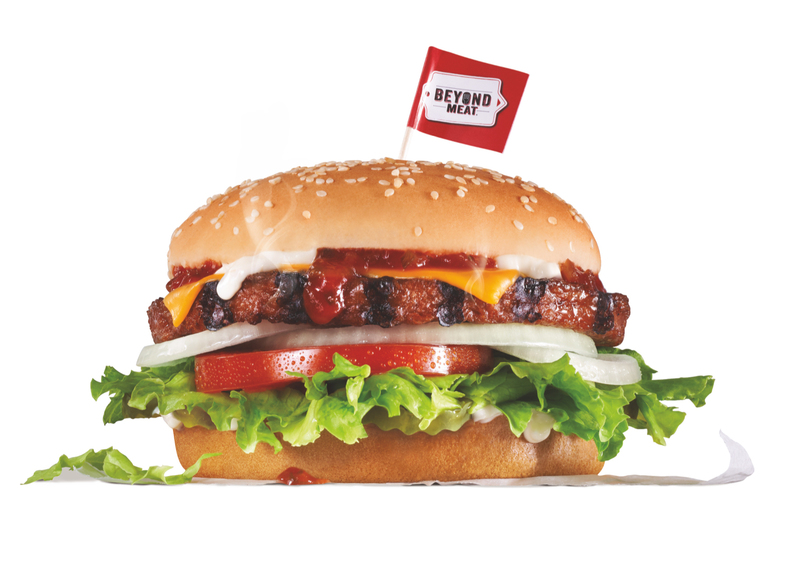 The Beyond Meat burger will be available at over 1,000 Carl’s Jr restaurants. Consumers can also add the Beyond Burger to any burger for USD2. But who is it for? Also significant is that “one supermarket chain this summer found that more than 90% of customers who purchased The Beyond Burger also purchased animal-based protein.” This further reinforces the view that plant based proteins are inexorably becoming part of the mainstream. Added to the expansion of Impossible Foods burger into White Castle as well as several other chains product awareness is expanding. Competition in plant based burgers is heating up although it looks like healthy competition with each company spurring the other to faster growth. There’s a long way to go to reach any sort of market saturation in the QSR market! Once cell based products hit the market in the next few years there’ll be some serious competition to conventional meat on multiple fronts.